If you’re anything like me, you’ll know how much pleasure there is to be had in harvesting, cooking and eating produce you’ve nurtured by hand. It can be a brilliant family activity that gives you a real sense of achievement – whilst sating your appetite at the same time! I absolutely love it. 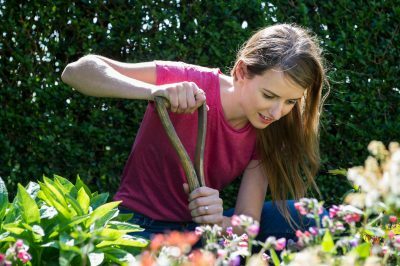 Growing your own food isn’t a total walk in the park, and there are certain times of year when your options are extremely limited. 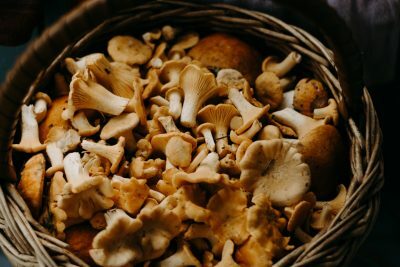 But the humble mushroom is a great example of a hardy and flexible crop that actually flourishes in cooler temperatures, making it a perfect choice to grow during the winter months. They’re also really tasty, totally fat free, packed with B vitamins and selenium, and a great source of fibre and protein. ‘spawn’. Then it’s a matter of finding the right environment or ‘substrate’ to begin to grow their miniscule, thread-like roots or mycelium. Once they’re established on their growing medium (for example a mushroom log, or composted manure), they’re fairly hardy and can produce a really good crop. Kits are widely available online for growing button or oyster mushrooms (great in a stir fry! ), and you can also purchase ready-inoculated mushroom logs. But if you’re keen to try to grow your own mushrooms from scratch, follow these steps! It’s easy with a bit of careful preparation. Mushrooms don’t like a lot of light, but can tolerate a bit. If you have a dark, cool basement (ideally around 20 degrees celsius) then this could be the perfect base for your burgeoning mushroom empire. If not, a garage, shed or space under the sink works just as well! Let’s start with button mushrooms – they’re probably the simplest to grow. They love a composted manure as substrate, so fill a seed tray (or your chosen container – a wooden box works well) with a thick layer and inoculate with the mushroom spawn. Mist the surface thoroughly, and place somewhere dark, moist and cool for the next few weeks. Watch your mushroom colony go! After a few weeks you should notice a fine, white film or web across the surface of the compost. This is the mushroom’s tiny roots, their mycelium. They’re really precious and delicate, so cover them up very gently with some potting compost (this is called casing), and mist again. It might help to keep the surface damp with wet newspaper for the next few weeks, until you start to see the tiny mushrooms growing through. After about a month, you should see some really good growth. Button mushrooms can be easily twisted from the soil when you’re ready to eat them. Fill in the gap that’s left with some more potting soil so that more mushrooms can grow through… and enjoy! This kind of method should provide mushrooms for about six months. You can buy prepared (inoculated) mushroom logs, but it’s great fun to make your own. You’ll need to find a very fresh tree log that has no signs of other fungus on it (straight from the garden is very reliable). Drill it all over with several holes of about 8mm diameter, and insert your mushroom spawn plugs into these holes. Seal the holes with beeswax, give it a sturdy tap to stimulate the mycellium and leave it in a shady space… and wait! Your mushrooms should start to grow in about six months, and the log can easily last for up to ten years. That’s a lot of mushrooms! The leftovers from your morning cafetiere are great when added to the compost heap as they’re packed with nutrients. 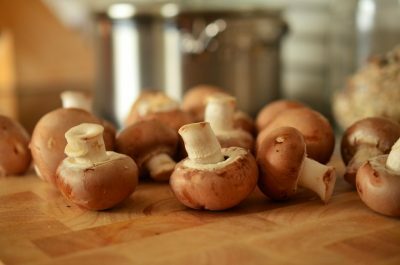 They’re also pasteurised from the brewing process and for these reasons, mushrooms love them too! 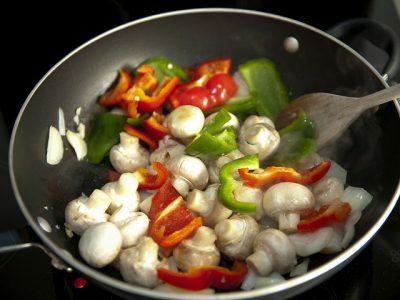 Mix the mushroom spawn in with your accumulated coffee grounds and follow the steps above. Safety first: it’s extremely important to keep an eye on the appearance of your mushrooms when you first start growing. If they don’t look as you expected them to or if you have any other concerns, please seek advice and don’t consume them til you’re sure they’re safe.